Mark Juliano moved to Pittsburgh in 1992 from Palo Alto, California (in Silicon Valley). Pittsburgh (Sewickley) was the home town of Mark’s ex-wife Lisa Lisanti. They lived in Pittsburgh for 17 years. They lived in Sewickley, a lovely suburb community about 10 miles from downtown. Mark joined FORE Systems as Vice President of Marketing when they had 15 employees, a product in Beta testing, no revenues and limited $2 million in research financing from the Naval Research Labs (Navy). FORE received its first round of Venture Capital financing of $5 million in early 1993 from Patricoff and Battery Ventures. The company’s first year of sales was $5 million followed by annuals sales of $25, $75, and $235 million. The company went public (IPO) in May 1994 and was eventually sold to Marconi for $4.5 billion in 1999. Pittsburgh was the classic big-fish, small-pond experience, given that FORE was the first high-tech company to go public in the City. It’s definitely a family-town and the cliche “a good place to raise kids” was true, and it’s a very livable city other than the difficult winters in Pittsburgh and the Western Pennsylvania area. The difficulty was that there are few successful high-tech companies still today — with the other being FreeMarkets which went public in 1999, at the height of the dot.com boom, and acquired by Ariba in 2004 for $493 million. The third successful info-tech company was Spinnaker, founded by FORE Systems employees (and others) and was acquired by NetApp in 2003 for approximately $300 million. 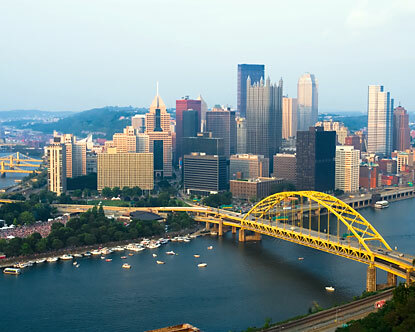 Pittsburgh has started many other high-tech companies, though very few have been as wildly successful as FORE Systems and FreeMarkets, followed by Spinnaker. The positive news for Pittsburgh entrepreneurship is the wealth of engineering talent — a large share of which comes from Carnegie Mellon University. After leaving FORE Systems in 1996, Mark Juliano was co-founder of Avidia (Wallingford, Connecticut), and c0-founder of MediaSite, TalkShoe and Vinomis laboratories (all based in the Pittsburgh area).